FS50 is a professional Fingerprint Scanner from Futronic with 1.6 x 1.5 inch (40.64 x 38.10 mm) scanning area. Its advanced optical system can capture a high quality image in 0.1 second. It can also handle bad fingers such as dry, wet, blurred and scarred without any problem. Its scanning window is crown glass prism with a thickness of 33mm. There is also special anti-scratching coating on the scanning surface of the prism. This makes FS50 even more robust and ensures long term heavy duty usage in any harsh environment. FS50 FIPS201/PIV can capture single finger, dual finger and roll finger image. It was certified by FBI to be compliant with PIV-071006 Image Quality Specification ( view PDF) for Single Finger Reader. So FS50 meets the US Federal Information Processing Standard 201(FIPS 201) for Personal Identification Verification (PIV) of Federal Employees and Contractors. It is also listed in the US General Services Administration (GSA) FIPS 201 Evaluation Program Approved Product List ( http://fips201ep.cio.gov/apl.php). A unique serial number is factory-programmed into the USB Device Descriptor of each FS50. So every FS50 is traceable and this is very important for government identity management projects. Windows XP/2003, 32 bit and 64 bit. Windows Vista/2008, 32 bit and 64 bit. Windows 7/8, 32 bit and 64 bit. The Futronic FS50 FIPS201/PIV USB 2.0 Reader is compatible with many different software development kits and applications. Below is the list of products that are currently known to support this scanner. Please note that some applications and development kits require specific versions of the drivers to be installed. Please contact us if you need additional information. Live Finger Detection(LFD) is a patent pending technology developed by Futronic to stop the access to secured data and location by using fake fingers made from silicone, rubber, play-doh, etc. 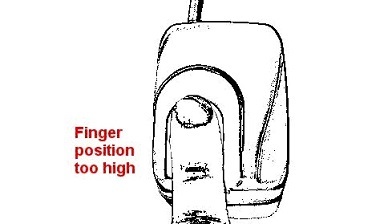 Futronic uses active sensing technology to detect live human finger. 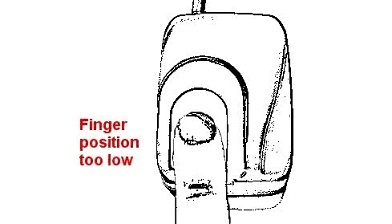 In Futronic optical fingerprint scanner, a special signal is emitted to the finger to be authenticated. This signal goes beyond the human skin and then returns to sensor inside the scanner. The returned signal of a live human finger is unique compared to that from any other material. Futronic has developed an algorithm to differentiate the returned signal of live human finger from that of all other material. As a result, Futronic optical fingerprint scanner only captures the fingerprint of live fingers and rejects all other material that puts on it. Fake fingers made from silicone, rubber, play-doh, etc, cannot be used to get access through Futronic optical fingerprint scanner. To make the LFD working properly, users need to put the finger on scanner more carefully and accurately. It is because the finger must touch a special location on the fingerprint scanner for the LFD signal and sensor to work on. 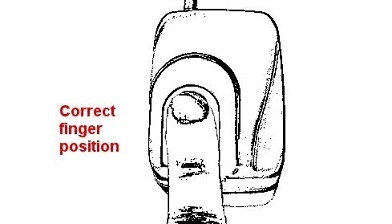 The following pictures illustrate how to put finger on scanner for the LFD to work properly. 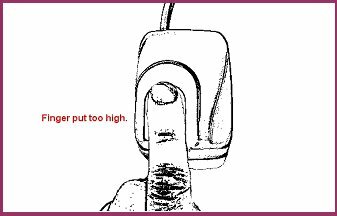 If a finger is not put on scanner accurately according to the above pictures, it may be rejected because it cannot be detected by the scanner as a live human finger. When this happens, please take away finger and try to put finger again. After several trials, it is easy to get used to it. Some users may feel that it is quite inconvenient to use LFD function. But it is worthwhile to sacrifice convenience a bit for enhanced security. 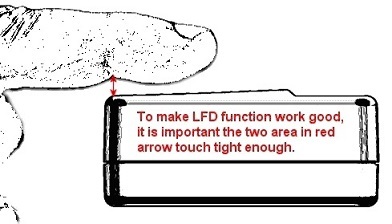 Moreover, the FLD function can be de-activated in all Futronic products for applications that enhanced security against fake fingers is not necessary.